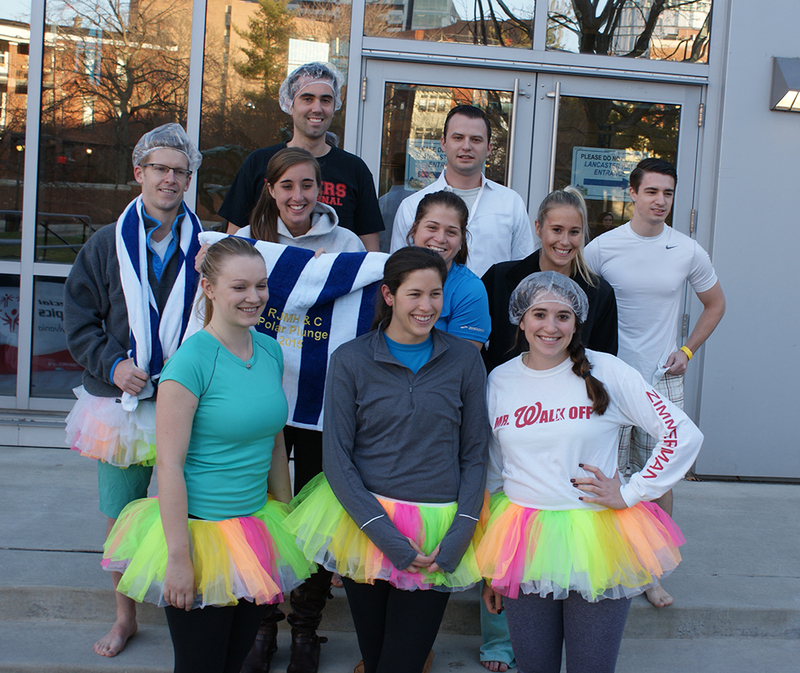 The Philadelphia Polar Plunge is returning to Drexel University! The Philadelphia Polar Plunge invites participants of all ages (under 18 requires parent or guardian signature) to take a dip in the “chilly” waters of an above ground pool. Plungers can take the plunge on their own with a minimum pledge of $50 or, better yet, join a group of 10 friends and/or colleagues to form a Plunge Team with a $500 pledge goal. All plungers are asked to raise the $50 minimum pledge to receive an official 2018 long sleeved Philly Polar Plunge t-shirt. Additionally, since jumping into a freezing pool is not for everyone, participants can choose to register for the event as a "Too Chicken To Plunge" participant (as an individual or on a team). Corporate, school and community teams are also welcome to set up a tent and hang a team banner in support of Special Olympics PA - Philadelphia. Every minute our plungers spend in the cold will warm the hearts of hundreds of SOPA - Philly athletes, so we ask that participants Sign Up, Jump In and Feel Warm. Participants can raise funds online by creating their own fundraising page to garner support from their friends, family and co-workers.